Color makes a statement….sometimes it’s a whisper, sometimes a shout. 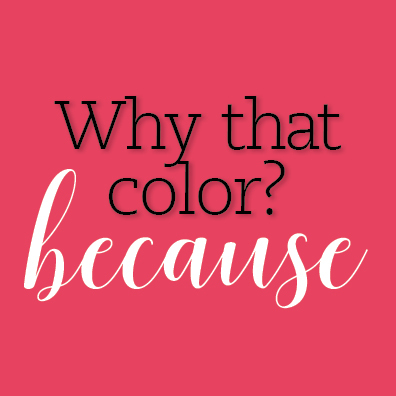 In our world of advertising and design, we follow color trends, but a color should not be chosen because it is trendy. Decisions about color should be strategic, inspired – the right color for the job. What do Coke, Target and Staples have in common? All use red in their logos. Color is a form of non-verbal communication. Think of the businessman who chooses a red power tie. He wants to make a statement that he is in charge and ready to take action. Retailers pay close attention to the psychology of colors. Visual cues, including color, help persuade shoppers. Red is seen as a color that motivates action in retail settings, both online and in-store. KISSmetrics, provider of online analytics tools, says that red creates urgency and is often used in clearance sale notices and signage. Sometimes, red is used to suggest anger or rebellion. But it also is the color most associated with two beloved holidays—Christmas and Valentine’s Day. Like every color, red has its upsides and downsides in design. With some business categories, red carries negative connotations. In healthcare, red reminds people of blood. In finance jargon, to be “in the red” means you’re losing money.